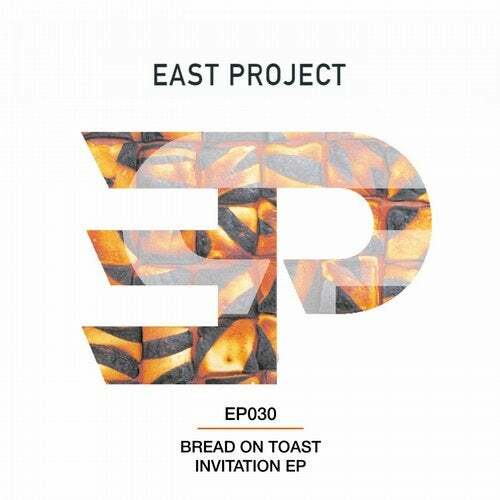 Following on from the success of EP029, East Project deliver only their second full release dedicated to a single producer… Well, actually in this case it's two producers that hail from Birmingham and go by the alias of "Bread on Toast". The lads have provided 3 uniquely sounding tracks that share enough similarities, yet with enough differences to ensure this EP has a little something for all underground dancefloors! The EP kicks off with "Invitation" – A monster track, full of energy from begin to end; weaving between its techy drums, groovy baseline and energy building breakdowns, to get you amped to the max! "Invitation" is full throttle and we wouldn't want it any other way!! Next up the Bread on Toast lads go a little bit deeper and darker on "Child Talk". Still full of their signature energetic beats, this one grooves and builds in a more subtle fashion, providing a great variety to the EP. Beginning of night or at the afterparty, the deep twists and loops of "Child Talk" are guaranteed to ensure you get lost in its groove. Finally, the EP finishes with a 3rd original track called "Bateman". The initial beats start with a bit more room to breath but don't let that fool you… As the drums multiply and intensify, so does the energy of the music, building throughout with a vocal asking you "where do you wanna go?" – Simple… straight to the dancefloor! !